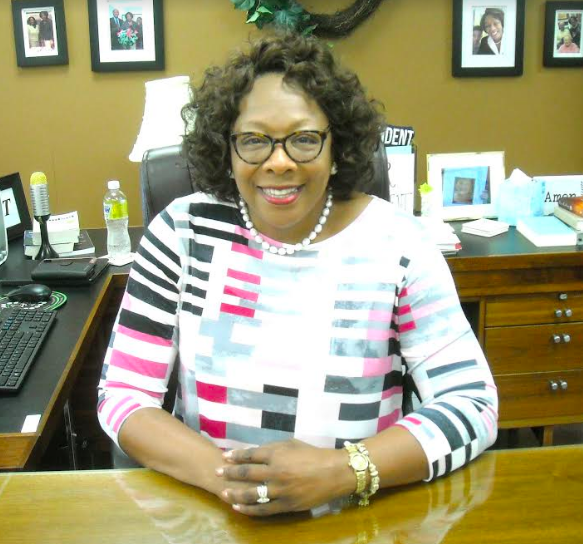 School Superintendent Deborah Wortham is knowledgeable of the best practices for maximizing student achievement and is supportive of the teachers in the district. She must listen and take into account differing viewpoints of various constituencies and then make the best educational decisions. “Our new teachers are on fire with enthusiasm. We had an incentive for retirement and 29 teachers retired. We had time for multiple interviews for each position to determine the best fit for individual specialties. We have gone from 14 teachers of the arts to 44 in the last three years. This summer, many students were enrolled in the Summer Academy and worked on music, science projects, technology and robotics. We’re excited about the shift in the district as more people have chosen to come to East Ramapo to be part of the growing phase. We believe we’re getting better and smarter. Now we feel we have a seamless approach of bringing kids from kindergarten to the 12th grade. It’s a great day,” Wortham concluded. The Building Assets, Reducing Risks (BARR) model is a comprehensive strength-based approach to education that aims to improve achievement for all students by improving a school’s effectiveness at building relationships, leveraging real-time student data and capitalizing on the strength of each student. BARR seeks to help educators better connect with their students and address issues that cause students to fail courses, drop out and/or engage in harmful behavior. It works with a school’s existing curriculum and existing staff to attain the goals they set for themselves. The Smart Scholars Program is a partnership between the institutions of higher education and public school districts to provide students with the opportunity and preparation to accelerate the completion of their high school studies, while earning transferable college credits at the same time. Students receive additional academic support from the school/college partnership to ensure they’re at grade level and ready to participate in rigorous high school and college courses. Expeditionary Learning’s (EL) curriculum incorporates the development of aptitudes that have been identified as essential for school, work and life success that includes: mastering academic content, learning how to learn plus building higher-order critical thinking, collaboration, communication and problem-solving skills. In Dr. Carol S. Dweck’s book ‘Mindset,’ she shows how success in school, work, sports the arts and almost every area of human endeavor can be dramatically influenced by how we think about our talents and abilities. People with a ‘fixed mindset’ are less likely to thrive than those with a ‘growth mindset’ who believe that abilities can be developed.